It was so obvious that I couldn’t believe I hadn’t thought of it. Forge was just starting to take a shape of its own at the time. We were getting ready to do the first planting. 4,000 Pinot Noir vines, 2,000 Riesling vines in a high density, 3-acre planting. The building hadn’t gone up yet but was scheduled to go up soon and we had all worked for a year or more to design it so it was just right. When I got home I brought the idea to Jimmer and he loved it. 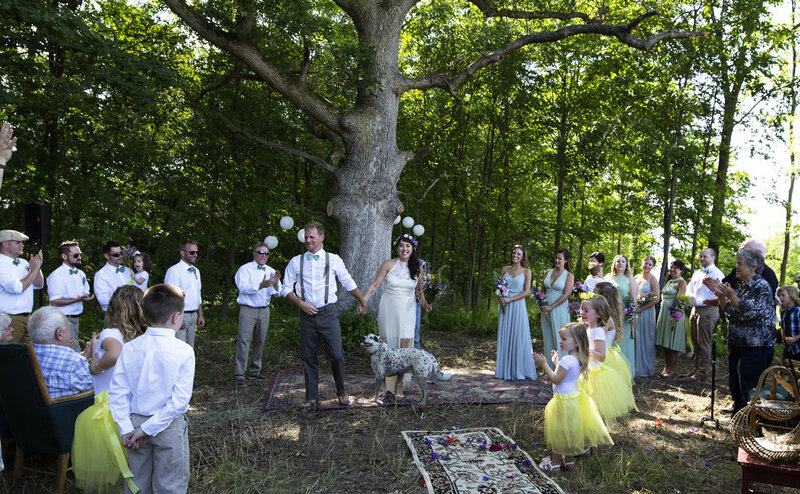 “No one has ever gotten married there before,” he said. That was one thing he really wanted in a venue. It didn’t phase us at all that it was the place we worked. This place is so filled with great energy and power that when I thought about it, there was suddenly no other spot I would even consider. Forge was it. And it didn’t really hit me until afterward that generally speaking there are many people, possibly even most people, who would never want to get married where they work. But for us, as Rick said, it was different. That summer we worked the land we would get married on together: shoot thinning the baby vines, getting to know the place, watching the building go up, pulling out wires (so many wires!) from the old vineyard site Forge had reclaimed. 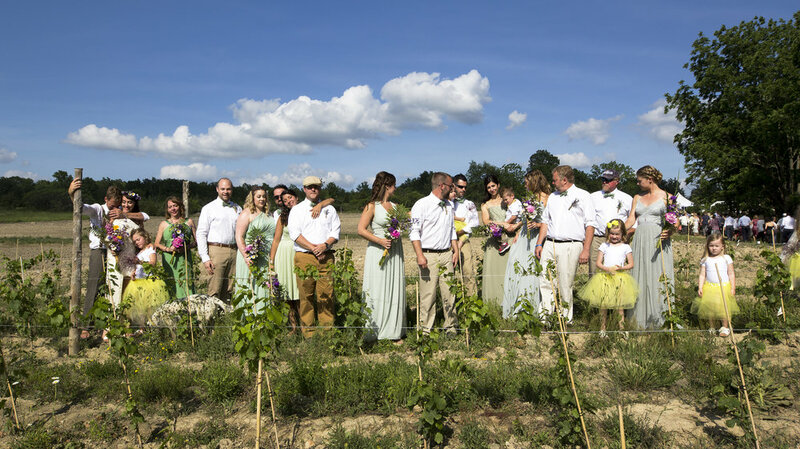 And this summer, on June 17th, we did indeed get married there, in front of the big old Oak tree in the corner of the first planted vineyard.